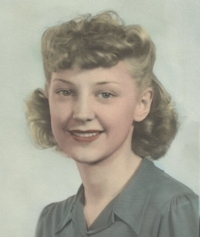 Obituary – Sanders, Laura Lee (Watson) « Perry High School Alumni Association, Inc.
Laura Lee (Watson) Sanders passed on to eternal life on August 10, 2015. The quintessential home-maker, the mom all your friends wish they had, the devoted wife through thick and thin, Laura was an old-fashioned, ever optimistic, faith-filled woman of virtue and selflessness. Born and raised in Perry, Oklahoma, to the small town’s Postmaster and his wife, Laura met her future husband, Bob, just after high school graduation. They were married for over 60 years. Laura and Bob were transferred often by Shell Oil Company, having lived in many locations across Oklahoma and Louisiana before settling in New Orleans. 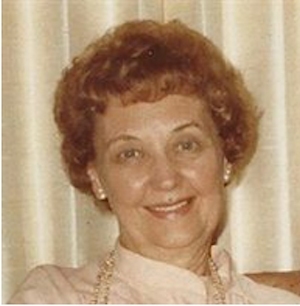 Laura loved her husband, family, holidays, desserts and her pets. She was a devout Catholic Christian. She had a great sense of humor and laughed often without inhibition. She was a remarkable, high principled woman. She never lost her temper and never uttered a foul word. She had a heart of gold, a servant attitude, always rooted for the underdog, and saw the good in all people. Laura was simply one of the sweetest, most humble, hospitable, giving persons on earth. We love and miss her greatly, but even with sad hearts find great joy in believing her to be united with her precious Lord and lifelong soulmate Bob, who knew her as “Miss Laura”. Laura is preceded in death by her parents, Marion and Dorothy Watson, and husband Robert L. Sanders. She is survived by her four children Pam, Joe, David, and Patrick, her grandchildren Melissa, Chad, Emily, and Jonathan, and great-granddaughters Addison and Elizabeth. The family has requested a private funeral mass. In lieu of flowers, please consider a donation to Louisiana SPCA.